The following is a sample comment from Mike Schreiner for the Canadian Nuclear Safety Commission (CNSC)’s hearing on Bruce Nuclear Station rebuild application. Click here for instructions on how to complete the form. I’m opposed to Bruce Power’s request for an unprecedented 5-year licence renewal for all 8 reactors at the Bruce Nuclear Station near Kincardine, Ontario. 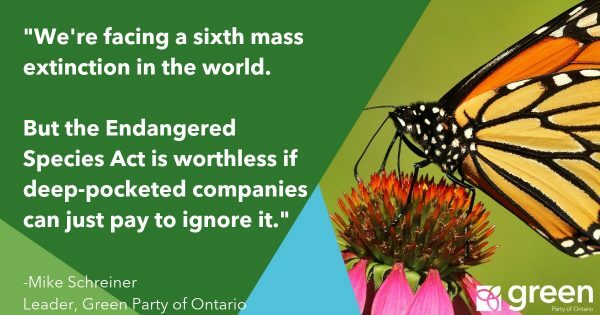 I believe Bruce Power’s current application presents an unreasonable risk to the people of Ontario. Ontarians deserve a full public hearing on the costs and risks of this project to public health, the environment and the province’s finances. I’m especially concerned that Bruce Power has not submitted a public safety review to support the reconstruction of the two Bruce A reactors even though it plans to start work next year. According to the provincial government’s long term energy plan, a reactor at Bruce A is scheduled to undergo billions of dollars in reconstruction work in 2016 to extend the life of the station for decades. It’s unacceptable that a safety plan wouldn’t be reviewed at a public hearing given the risks and costs of a project of this magnitude. Keeping the public in the dark about safety plans at the Bruce Nuclear Station represents an unacceptable pattern of secrecy around this project. 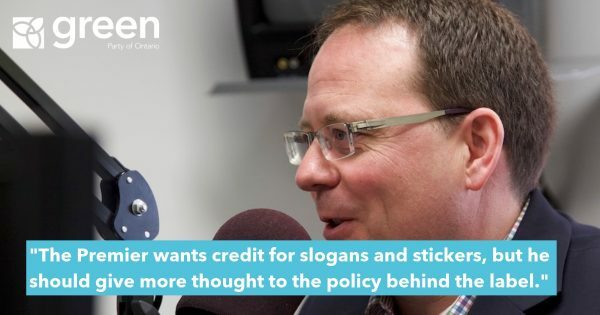 The Liberal government is currently negotiating a contract with Bruce Power behind closed doors. An independent public review of the costs and alternatives to nuclear power should be conducted before proceeding with the rebuilding of nuclear power stations. In the absence of a proper public review, I’m asking CNSC to deny Bruce Power a 5 year licence for all 8 reactors. Instead, I believe it is more reasonable for CNSC to grant a 1 year licence for Bruce A so that Bruce Power can submit a public safety review, including how it will reduce potential for large radioactive releases. At this hearing there should be a public review of Bruce Power’s safety case for extending the life of the Bruce A reactors. I appreciate your time and consideration of my written submission.